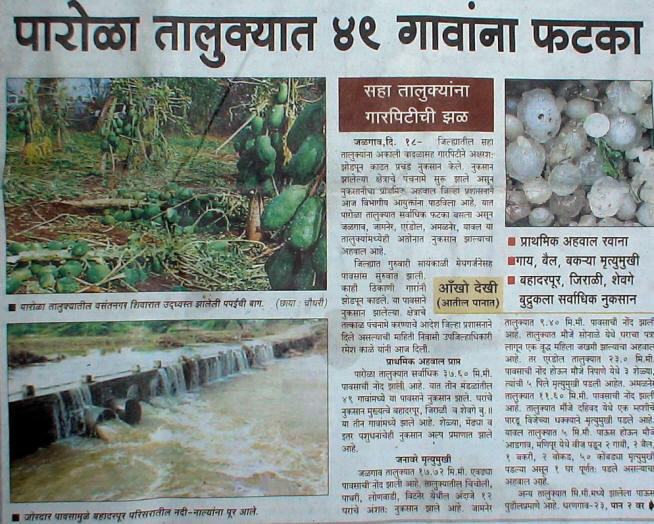 In December, 2009 there was an unseasonal storm in the Dhule/ Jalgaon region of North Maharashtra. 35,000 hectares of farmland was damaged. Hundreds of thousands of rupees of crop losses were reported by farmers in the area. In the district of Parola 49 villages were affected. In some places, 2 feet of ice were reported in the fields from the hail storm. The ice remained in some fields for 3 days after the storm. 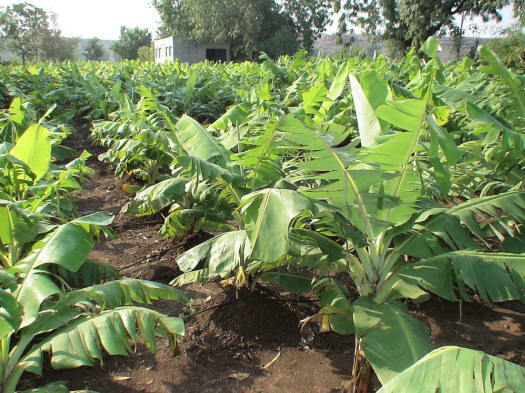 In Tapovan Homa farm, which is in the centre of the affected area, there was minimal damage to our crops. The only damage – banana leaves were split and one branch of one tree fell down. It was a young drum-stick tree of a height of 12 feet and the tree recovered quickly. A type of protection is created by the practice of Homa Therapy on the farm.